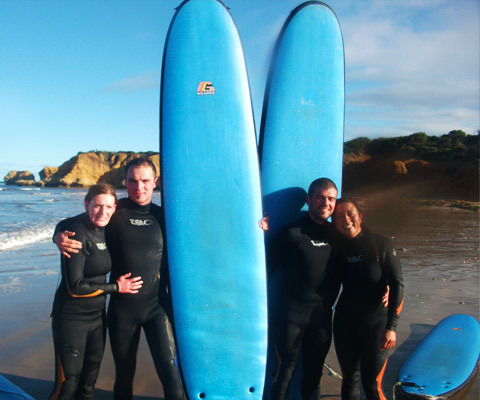 Small group surf lessons are ideal for beginners to intermediate level. The number of students can vary depending on time of year, with a maximum of 8 people per coach. A group session is perfect for surfers just starting out, or for a group of friends, family or colleagues wanting to have fun and learn to surf in a casual atmosphere. 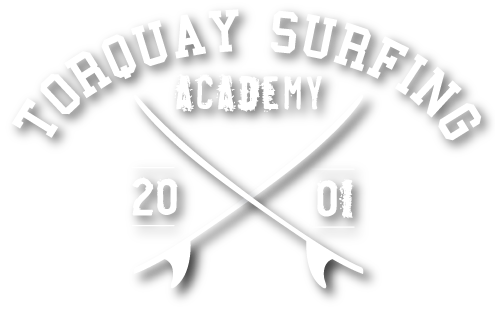 The lesson will focus on teaching you the skills of surfing and how to handle yourself and your surfboard in the ocean. The TSA crew will show your group the right way to catch and surf waves and have a lot of fun along the way. The group session is one of our most popular lessons because it’s great value, heaps of fun and no previous experience is required. 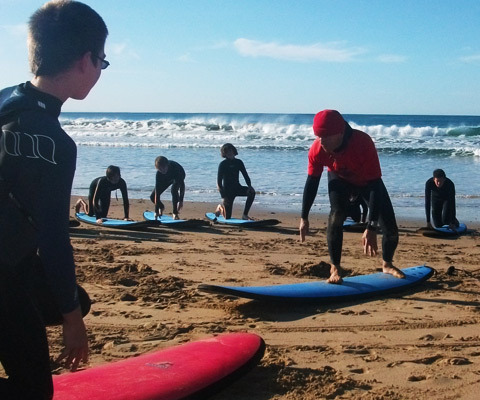 Our instructors are there to help you learn and provide advice on all questions related to surfing. Group sessions are very popular for special occasions, such as birthdays, Hen’s and Buck’s parties and team building. 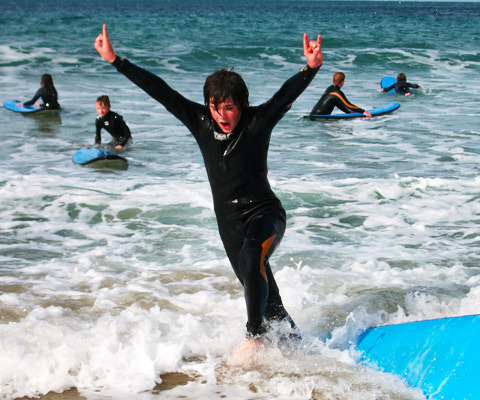 The thrill of catching your first wave and sharing it with family or friends is something everyone should experience! At TSA, we provide change rooms, toilet facilities, lockers for your gear and hot showers.Price includes all equipment plus coaching from one of our highly trained and friendly staff. You can book by clicking the link below.